My name is Rosie Mendoza and I'm glad you found me or you are already following me. Today’s post is all about: when photography meets reselling. In 2017, I decided to go full throttle on reselling pre-owned clothing, without knowing that the financial aspect of it was going to be the most insignificant part of my gains. Photography is my main source of income. That gave me the freedom to go beyond having another profitable business and incorporate the concept of INTENTION not only into my new venture but as a consumer. I've learned that for changes to happen I had to start at home. Unfortunately, there's a lot of misconception and shame behind wearing secondhand clothing. And that has to change. As a community, we need to educate ourselves of the effects of how the fashion industry operates and the way we consume fashion are damaging our environment. The buy everything NEW, barely wear and throw away mentality is NOT a sustainable approach. Excess, clutter, and waste are the aftermath of a broken system and it's in our best interest to demand accountability at the top levels while doing our part as costumers. Personally, I've been contributing to the damage by choosing convenience over being conscious about the way I purchase for way too long. My goal behind reselling used clothing is: To start a conversation. At home. With co-workers and friends. To start questioning our own every day habits. 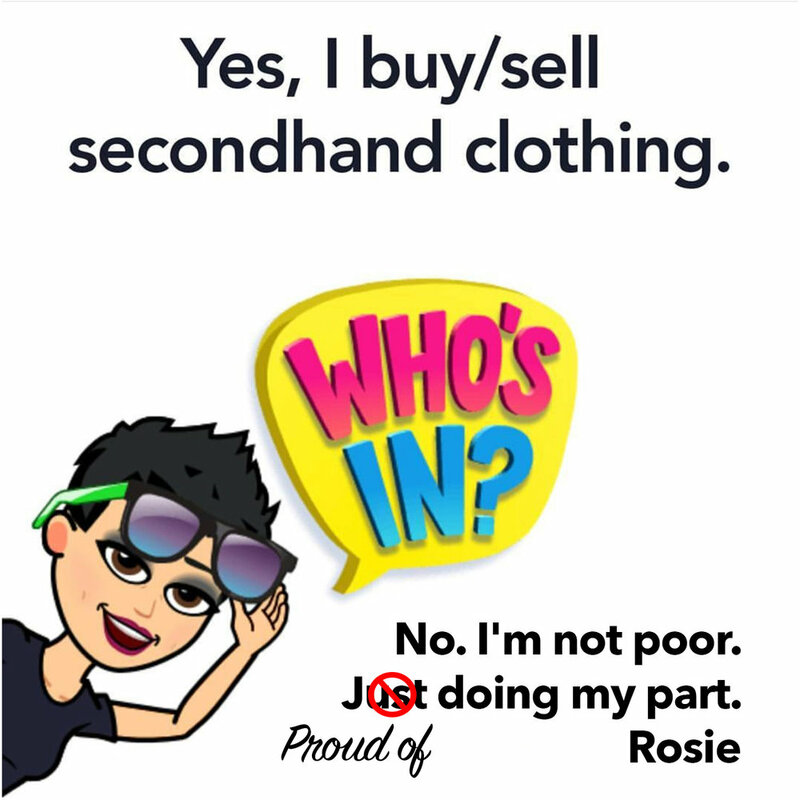 To create a new normal, where buying and wearing secondhand is always the smart choice. If you have found value on this blog I'd love for you to share it with someone ELSE who could take advantage of it as well.